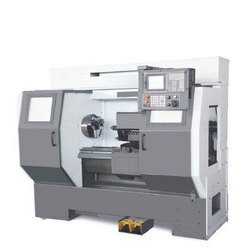 We offer CNC Turret Lathe. - The SUPER TURN series incorporates design specifications tailored for vigorous demands. 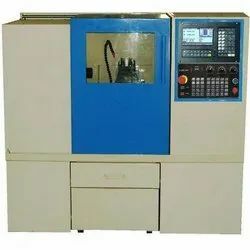 - All gears in the headstock are hardened and precisely ground. - Rigid spindle is supported by high precision taper roller bearings. - Spindle speed ranges are automatically changed by M code. - Infinitely variable speeds are commanded by S code. CNC Lathe with 31.75" (806 mm) swing, 30 hp (22.4 kW) vector drive, 3400 rpm, A2-6 spindle, 10" (254 mm) chuck, 12-station bolt-on turret. Colchester cnc lathe for sale.